This paper describe the deployment experiences and challenges of SEACOM – and African submarine cable system and IP/MPLS network operator – faced when we upgraded 2 core PoP’s in South Africa to 100Gbps. 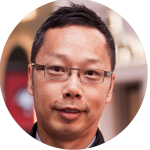 Vincent Boon has been in the IT and Networking Industry for over 25 years, working with Enterprise and Data Center customers within APJC. 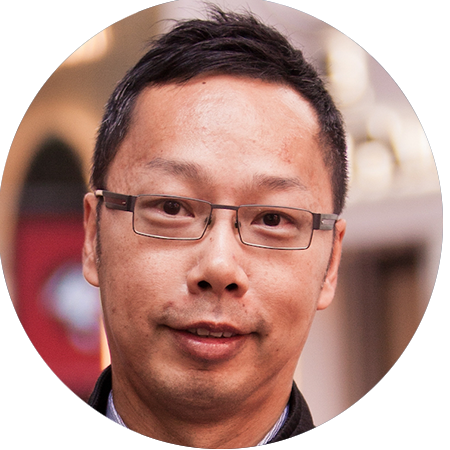 For the past 15 years his focus has been in DCIM, Access and Power Solutions working with clients such as OCBC, Smart nation and AXA Technology Services. Technology has always been a keen interest of Vincents’ and his previous roles within Technology Companies have involved working closely with the engineering team providing productive solutions to customers. He joined Opengear at the beginning of 2018 and brings his expertise to assist customers on the next generation intelligent solutions for managing critical IT and communications infrastructure. In many organisations, moves are being made towards picking a standard for network orchestration. However, there are many choices. In previous talks I have given a high level introduction to the concept of network orchestration, and a general description of some of the tooling used. This talk will provide a deeper dive into two of the tools that are getting more attention in the networking world: Ansible and Salt. Both projects started out as remote execution engines written in Python, and have evolved into fully featured automation and orchestration systems. Through their use of the NAPALM library, both have strong support for configurations and monitoring of networking devices, which will be the focus of this talk. I will cover the design and concepts of Ansible and Salt; what you get for free, and what you pay for, and go through some common day-to-day provisioning and maintenance scenarios using each of the tools, with the aim of helping network administrators choose the right tool for their network. Ismail is the Senior Systems Engineer at Arista Networks Malaysia, where he leads efforts to migrate complex Data Centre and Service Provider networks to simplified, software-driven cloud networks. Ismail is recognised for his contributions as Architect and Solution Consultant in the local Service Providers and Enterprises scene. Prior to joining Arista in 2017, Ismail held various Systems Engineering roles with Cisco Systems, Juniper Networks and a local Service Provider in a span of 20 years. Ismail has a Computer Science Bachelor Degree with Honors from Universiti Sains Malaysia, Penang, Malaysia. Detailing some examples of how service providers are applying cloud networking principles to transform their Edge, Core and Data Center domains, with a particular focus on MPLS Segment Routing and VXLAN as the transport architecture. These transports, combined with BGP community and multi-protocol address family extensions, allow providers to realize a highly scalable, resilient and extensible network architecture. Che-Hoo joined APNIC in April 2017. His current responsibilities at APNIC include training, technical assistance, security outreach, infrastructure services and technical community support. Before APNIC, Che-Hoo was in charge of Hong Kong Internet eXchange (HKIX) and the university IT infrastructure at The Chinese University of Hong Kong (CUHK). He has accumulated over 30 years of experience and knowledge of Internet and IT infrastructure and human connections through services for APNIC Executive Council, .ASIA TLD (Top Level Domain) application and .ASIA Board, Level 3 Asia, FLAG Telecom Asia, APIX, .HK, Hong Kong Academic and Research Network (HARNET), HKISPA, ISOC-HK, HKNOG, APRICOT-APAN 2011 in Hong Kong and APAN 42 in Hong Kong. IXP (Internet eXchange Point) is always a hot topic in Internet community and in a lot of case, it is political too, especially during the early stage of development of a new one. In this talk, the speaker will share his knowledge, experience and observations from setting up and operating an IXP and also from helping others set up theirs. There are a lot of challenges and difficulties faced by IXP operators continuously, even after critical mass is seemingly reached. 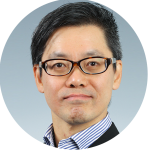 He will also share his views about the way forward for IXPs. 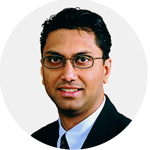 Anup Changaroth is Senior Director, CTO Office and Business Development & Solutions for Ciena in Asia/Pacific. 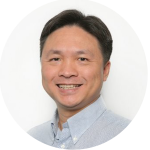 He is responsible for building new business across Asia Pacific, as well as leading the regional Product Line Management teams for both hardware and software solutions, and Engineering Operations. Prior to the current role, Anup was Ciena’s Asia Pacific Marketing prime responsible for both product portfolio marketing, as well analyst & media engagements. He has been involved in the communications field for over 25 years, since designing and building his own V.23 modem in the late ‘80s as a student. Changaroth holds an Honours Degree in Computer Systems Engineering from the City University, London; Marketing Management Diploma from Columbia University, USA; as well as a Diploma in Electronics Engineering from the Ngee Ann Polytechnic, Singapore. He is an active industry participant, holding voting membership positions at the Institute of Electrical & Electronic Engineers, the Association for Computing Machinery, and the Audio Engineering Society. Contrary to popular belief, satellites account for a miniscule part of keeping the world connected. Submarine networks do the heavy lifting all from the depths of the ocean floors and carry over 95% of the worlds Intercontinental electronic communications traffic. In this session, we give an overview of how subsea cables work and the current state of the global submarine network. We’ll also discuss the implications of Shannon’s Limit, which gives the theoretical channel capacity for a communications link, on our subsea networks. With more than 20 years of experience in the networking industry, CF is a veteran in designing, implementing, and supporting highly available network systems and solutions. In this current role with Arbor Networks, apart from actively involved in the global research projects, CF works closely with customers in the Asia Pacific region to develop and optimize approaches for their network security solution to ensure optimal deployment and best customer satisfaction. Prior to joining Arbor Networks, CF had held different regional positions in pre- and post-sales roles for various large core routing and switching vendors. 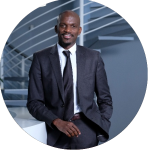 His expertise lies mainly in the areas of Internet routing technology, network threat detection and network visibility solutions. Next Generation DDoS Services – can we do this with NFV? Over the past few years a wide range of enterprises representing every market vertical have rapidly moved to the cloud, embraced SaaS, exploited mobility and become ever more dependent on the connected world. ISP and MSSP are always looking for ways to maximise the revenue they can generate from their network infrastructure and skilled employees, rom virtual firewalls to email security, from vulnerability scanning to DDoS attack protection, the market for security services is growing steadily. Arbor Networks’ vision and strategy for how to successfully deliver the next generation of NFV-driven DDoS managed services. In this presentation, we would review the fundamental of NFV technology, what are the challenges ISP, MSSP face while planning to deploy NFV over the existing infrastructure. Lastly, what an Arbor Networks customer has learned during their adventurous journey into the world of NFV. In this session, we will talk about how network evolve to SDN. Start from Routing protocol evolution from traditional IGP to Google Firepath(obsolete 5 years+). we discussed some issue with currently OSPF/ISIS protocol. Then we introduce a modern open Source routing protocol, Facebook Open/R. by introduce the key components and Technologies and comparison with OSPF/ISIS, we show how modern protocol’s architecture. To optimized data center CLOS architecture, we introduce latest RIFT(routing in the Fat Tree protocol). RIFT share the similar OPEN/R architecture, but more optimized for DC FAT Tree topology routing. Last we introduce modern SDN controller also share similar key component. so with a better message bus and KV Store. we can build a new generation of Routing/SDN architecture. Walt Wollny is the Director of Interconnection Strategy. Supporting Hurricane Electric global network reach to over 45 countries and over 180 Internet Exchanges. Focus on global connectivity and new markets. 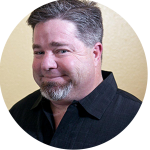 Walt has been working in the in the Internet industry for over 20 years. Before Hurricane Electric, Walt was an IP Business Development Manager at Amazon supporting over 64 new CDN builds including new markets including Japan, Singapore, Hong Kong, India, Taiwan, Philippines and Australia. http://BGP.HE.NET allows you to see network relationships with transit providers, peers and the routes networks take to reach the world. This will be a comprehensive overview of the features available within the toolkit as well a live demonstration. Hurricane Electric has released many new components in the past year that will also be reviewed. 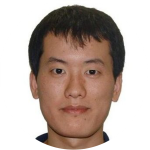 Eric is a Senior Network Architect at Akamai Technologies, where he responsible for the network design and planning of Akamai’s CDN nodes in Asia. 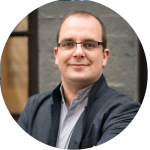 Prior to Akamai, Eric has been working in global carriers as a solution consultant for 10 years. Over the Top Video continues to be the primary driver of growth in Internet traffic volumes. As OTT becomes more ubiquitous, the expectations of end-users, content owners and broadcasters increases accordingly. We will look at these expectations, the traffic trends of OTT and how they are impacting ISP’s traffic profiles, the challenges Akamai faces and some of the approaches being taken to address them. Tom is a Network Engineer at CloudFlare, based in San Francisco, California. Tom’s role is looking after CloudFlare’s global Anycast network as well as expanding it, ensuring best performance globally. The role also extends to making the Internet better, by giving hundreds of thousands of websites performance equivalent to the Internet Giants. Starting working in Australia, Tom has been involved in Asia Pacific Internet over the past 8 years working for a number of ISPs and Carriers throughout the region, including in Hong Kong and Australia. Cloudflare recently launched a public DNS resolver service on 1.1.1.1 and using two subnets, 1.0.0.0/24 and 1.1.1.1/24. These IP addresses are common place for abuse and unwanted traffic. This talk will go into some of the operational challenges, details about the traffic, and what we’ve seen since launching. Working as Assistant General Manager for Teletraffic Engineering, ISP Network Management with experience in data analytic. Certified Data Science Specialization using R programming. His vast experience in network and services deployment help TM to do a lot of networks/services requirement using data science technique with automation. The methods used in monitoring International Private Leased Circuit (IPLC) are discussed. Traditional monitoring individual circuit not suitable with current trending of traffic that acquired few hundreds circuit with terabits of bandwidth. Diversified interconnect to multiple international partner needs more granular and flexibility in monitoring the network performance. Clustering and modelling analysis discussed to understand each interconnect performance in order to ease planning and optimization. Big data technology being used with capability of R Programming to produce understandable analytic and visualisation. 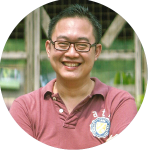 Lee Cheung Loong founded IPServerOne in 2003, one of the leading hosting providers in Malaysia. 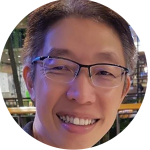 Under Lee’s leadership, a one-man-show company has grown to over 60 employees and it offers various hosting solutions including, web hosting, software engineering, application development, software and hardware R&D, networking, and security. As the rise of cybercrime continues to accelerate in our digital era, Lee’s focus is more on the network security, and he believes it will always remain one of the biggest challenges. 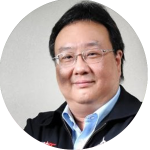 With persistent improvement and investment in infrastructure, knowledge, people, and partnership, Lee’s aim is to make sure that IPServerOne stays updated with the new technology and best practices to serve his customers efficiently. NetFlow provides network administrators with a method of letting the administrator determines what passes thru the network. The ELK (Elasticsearch, Logstash, and Kibana) stack is a set of tools for ingesting, storing and visualising massive amounts of data. Putting the NetFlow into ELK, can provide engineers with detailed information on the origin and destination of network packets via visualisation tools, costing and usage pattern, it also can generate automated alerts on security anomalies. Tze Meng graduated with a BSc(Eng) in Computer Engineering from Queen Mary College, University of London in 1986 and has been in the ICT industry for more than 30 years. He had roles in data communications, electronics design, and software development in his early career. 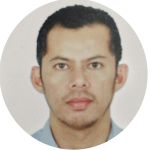 In 1988 he started a career with Telekom Malaysia’s IT Division and was involved in TM’s data centre deployments and OSS capacity planning. In 1994 he was recruited into a special team which resulted in the launch of TMnet in 1996. In 2000 he left his role of managing TMnet’s international networks to lead a data centre consulting startup which designed a data centre in Cyberjaya and secured two major local banks’ Internet banking facilities. The dotcom crash and decline of the DC industry in the late 90s prompted Tze Meng to venture into another startup in the Apple enterprise support business In 2003. In 2007 the prospect of guiding MSC Malaysia’s infocomms strategy and policy brought him to MDEC and today he heads the Data Cloud Department which is responsible for the ecosystem development in the digital content and services space which includes data centres, cloud, telecoms and broadband. 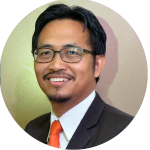 He has also been a member of the Malaysia’s mirror committee for ISO/IEC Information Security Standards development for 7 years and has been the chairman for WG4, Security Techniques for 3 years. More recently he has been appointed to be on another ISO mirror committee for Blockchain and Distributed Ledger Technology standards. Much of the content and services on the global Internet today resides on the platforms provided by hyperscale providers. The infrastructure these players are deploying around the world is literally changing how global connectivity works. The result of this means the Internet we know today looks quite different from the 90s when it first took off. How countries perceive this new architecture will determine their policies to become part of the global information flows or become a leaf node at the end of the chain. The economic impact of these two scenarios can be quite different.